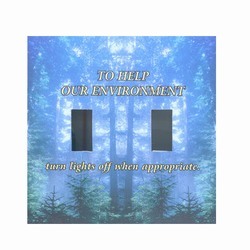 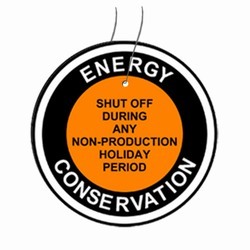 2 Color Pink and Black Imprint on Sticky Back White Vinyl Lightswitch Plate Cover Energy Conservation Decal. 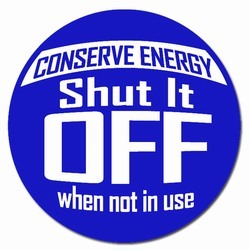 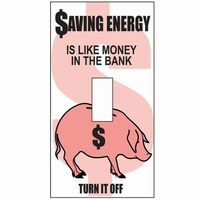 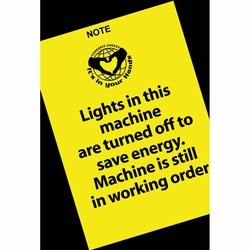 "Saving Energy is like Money in the Bank. 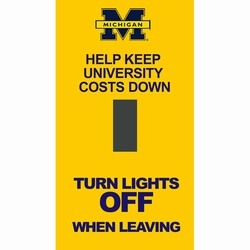 Turn It Off."